Be taught by our in-house mixologists to make (then drink) a selection of four different cocktails at one of TT-liquor’s fully interactive cocktail making classes. 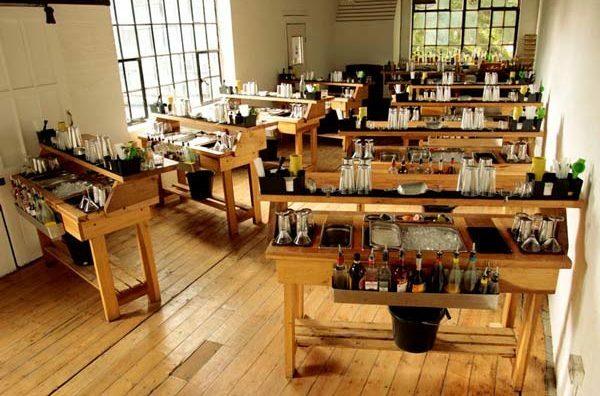 All our classes focus on 100% involvement – every guest uses fine liquor, fresh ingredients and specialist equipment to make their own cocktails in their own area behind one of our custom-built cocktail bars, with a maximum of 4-5 people per bar. Our cocktail making classes last two hours and can be hosted at our Shoreditch home at 17B Kingsland Road. We also have a large collection of mobile cocktail bars and equipment, allowing us to take our cocktail making classes to almost any venue in London or throughout the U.K.